The queen of talk has been crowned the most powerful celebrity. Oprah Winfrey tops this year's Forbes Celebrity 100 list of famous people who make the most money and attract the most attention. The magazine bases the ranking on estimated earnings as well as counts of magazine covers and mentions in the news media. 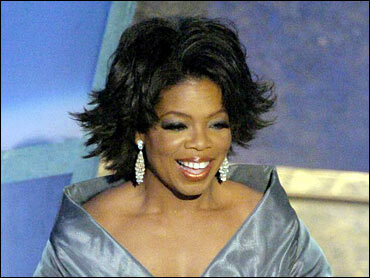 Following Winfrey is golfer Tiger Woods and then last year's Number One, actor and director Mel Gibson. Also in the top ten are "Star Wars" creator George Lucas, Madonna and Tom Cruise. Forbes says newcomers to the list include the cast of "Desperate Housewives" at Number 25 and Comedy Central star Dave Chappelle at 78. Those falling out of the 100 this year include the "Today" show's Katie Couric and actress Angelina Jolie.